All MONTEREY ON THE LAKE homes currently listed for sale in Wellington as of 04/21/2019 are shown below. You can change the search criteria at any time by pressing the 'Change Search' button below. 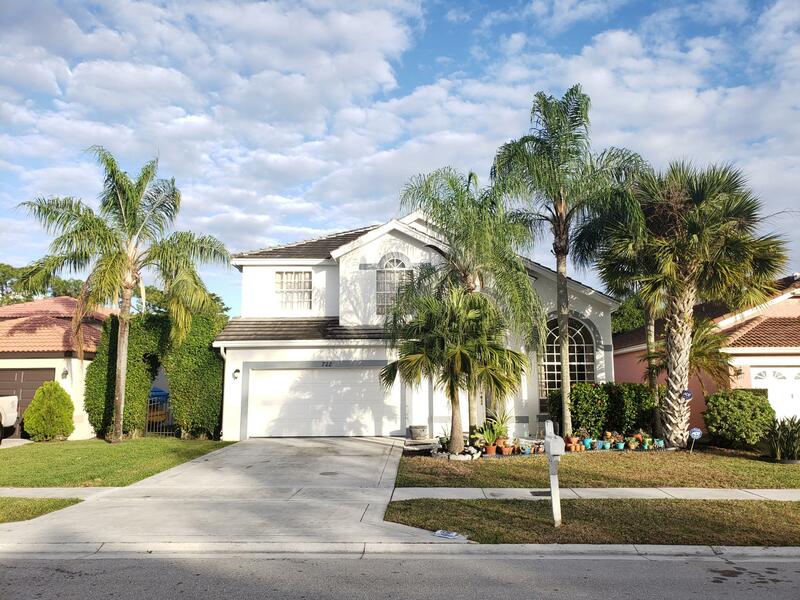 "Beautiful 2 story pool home in a peaceful neighborhood with private access to Lake Wellington. This 4 bedroom/3 batroom house boasts updated batrooms, vaulted ceilings, indoor/outdoor living space, new HVAC (2017), new washer and dryer (2018), and fresh interior and exterior paint. Low HOA fees and close proximity to equestrian venues makes this home a must see." 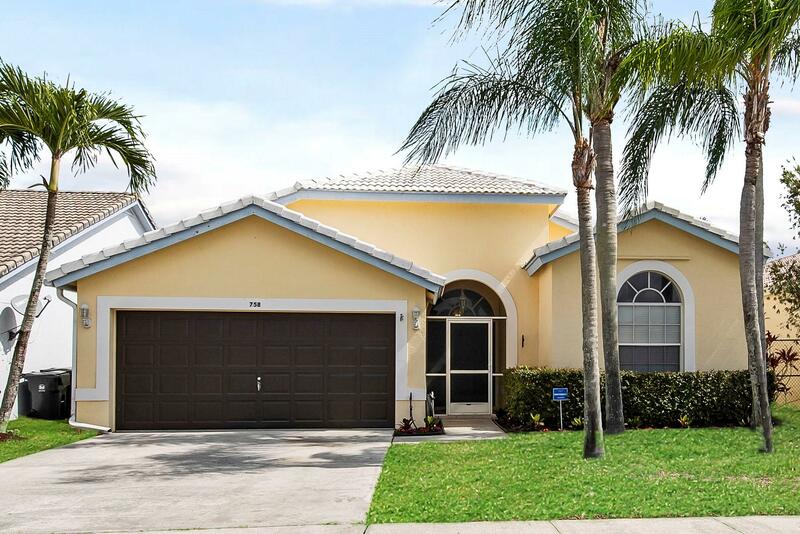 "Embrace our Florida lifestyle on the covered patio overlooking your private yard with a pool, tropical landscaping and a serene lake view. This spectacular home offers a 1,929 SqFt bright and open floorplan with 3 bedrooms, 2 baths, a spacious living room and a dining area. The highly functional kitchen comes equipped with high-hat lighting, a snack bar and classic white cabinetry. The master retreat features a walk-in closet, soaking tub and a walk-in shower. A double door entrance, tile laid on the diagonal, new carpet and an abundance of natural light complete this stunning home. Located close to shopping, dining, entertainment, major highways and airports. A short drive to the Winter Equestrian Festival and Global Dressage Festival."